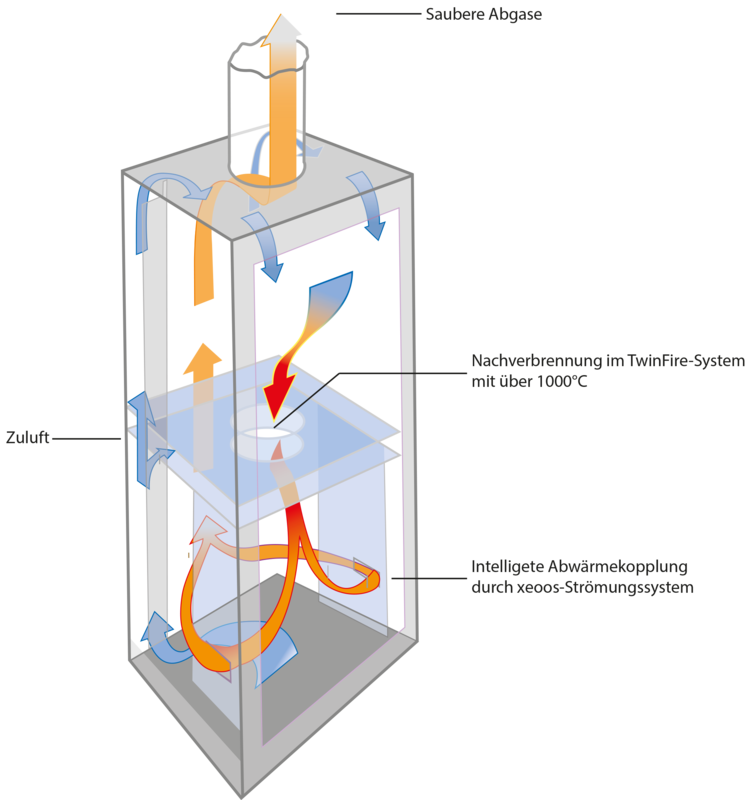 With the xeoos TwinFire-combustion process, the exhaust air, that emerges from the burning wood in the upper chamber, is burnt up at temperatures from 1000 - 1200 °C and thus changed into additional warmth and energy. To reduce environmental pollution, the legal boundary values of CO and fine dust have been set anew. The xeoos with its patented combustion process, not only fulfills this values, but is far below target, even with partial or minimal load. Quality production through xeoos GmbH. 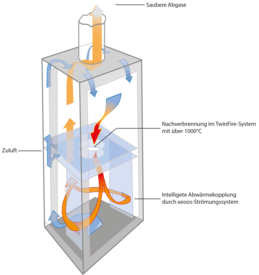 The combustion process and product design is patented.